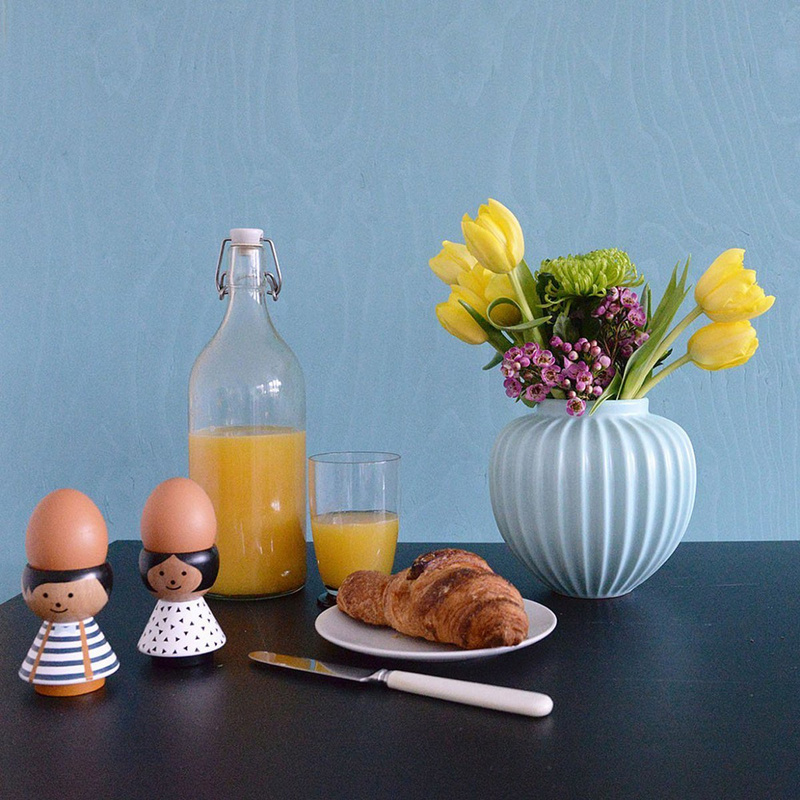 The Girl Egg Cup by Lucie Kaas is a very particular piece, an article that conceived by the desire to enhance an accessory that's usually vintage, as the egg cup is revamped with intriguing elements. 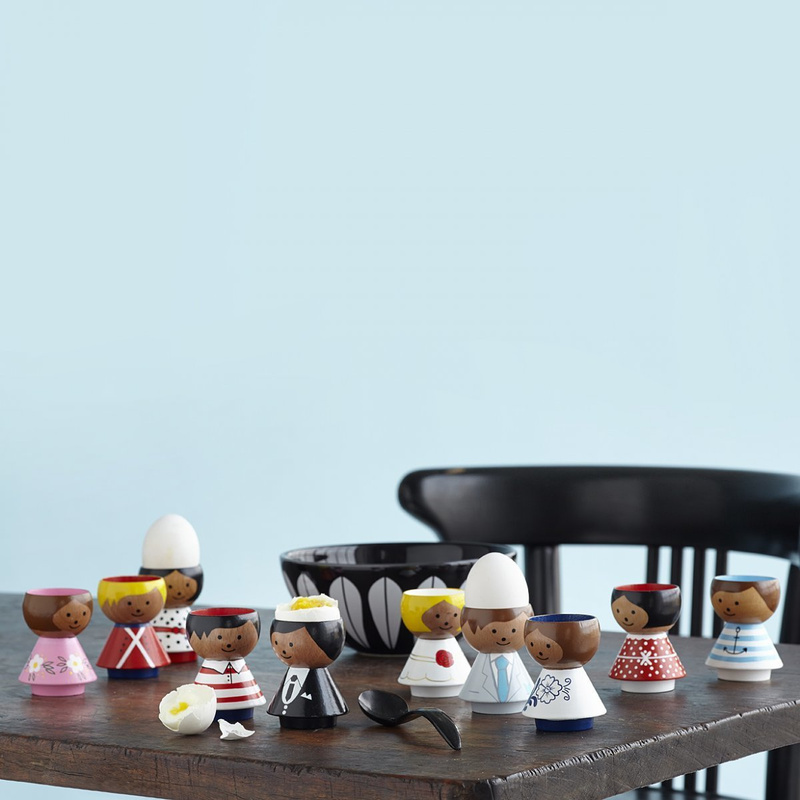 The Girl Egg Cup is one of many egg cups from the Lucie Kaas collection, by the Danish brand that's garnered loads of attention in spite of how young it is. Wood is one of the leading materials when the brand goes to work, and this egg cup by Lucie Kaas follows suit. By doing so, the piece as made of material as per traditional, vintage products. 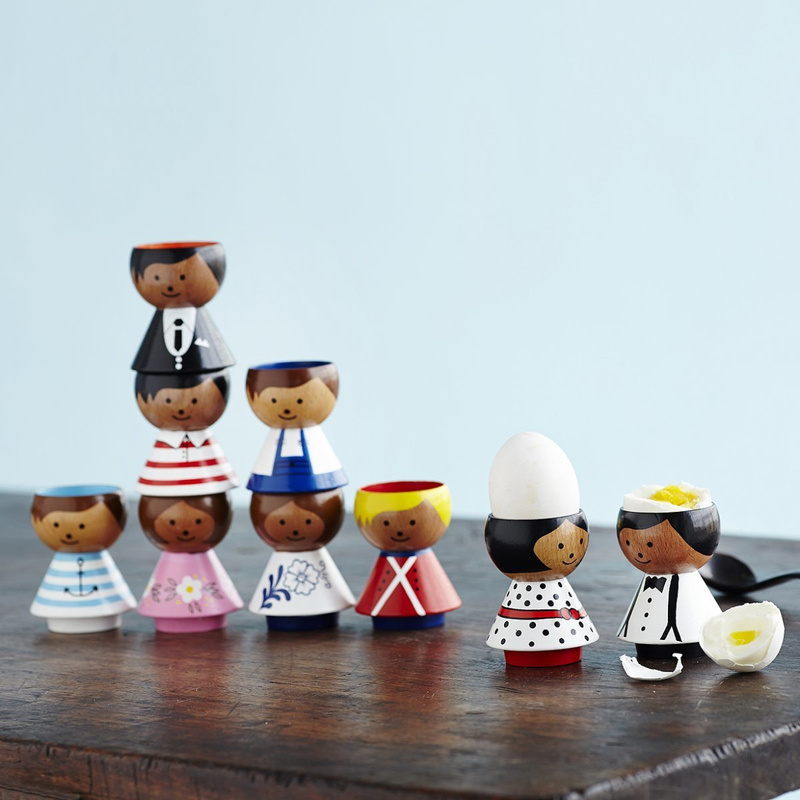 Creative Director of Lucie Kaas Esben Gravlev Rasmussen came up with a compelling idea that he applied to old egg cups, which was to turn these objects into adorably cute characters. 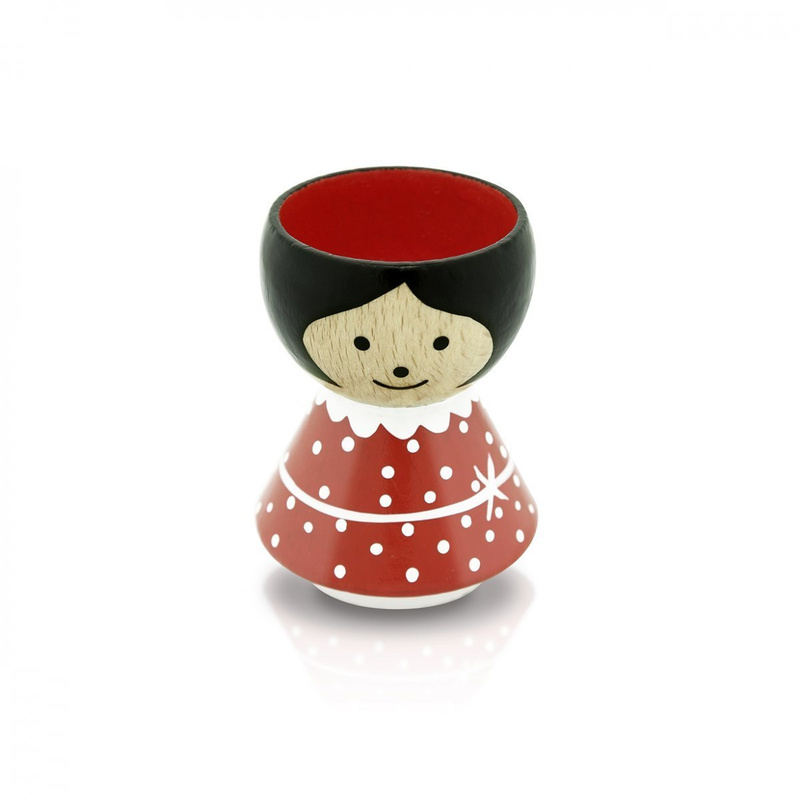 The Girl Egg Cup is one of the many pieces of Lucie Kaas collection, depicting a sweet girl with black hair and a vibrant dress. Not only for the particular decorative theme but also for colour scheme does this object really manage to grab your attention upon first glance. 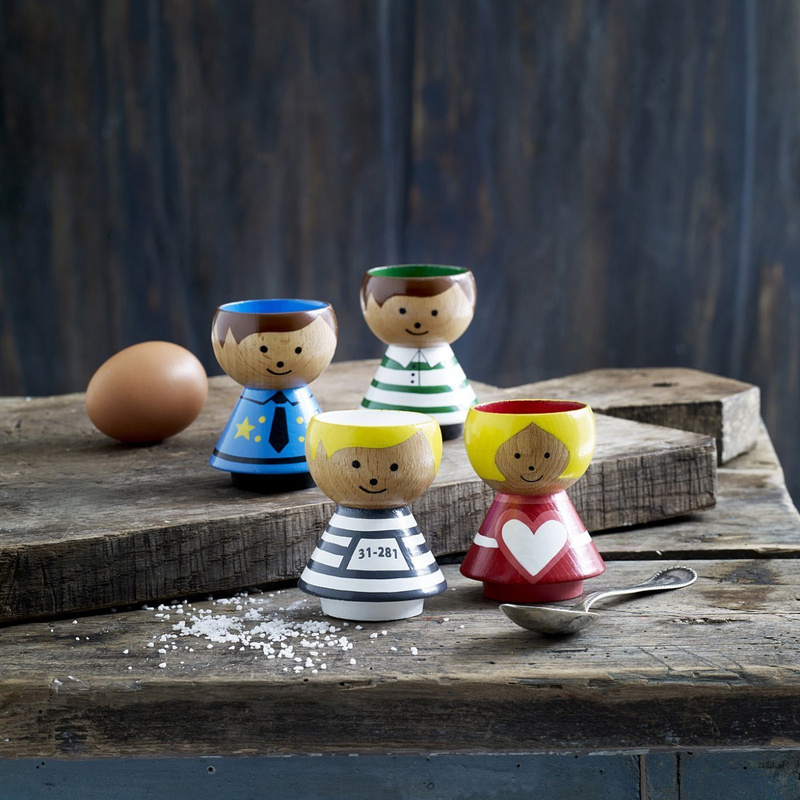 Charm and gentleness set this Girl egg cup from the rest, but when the time comes to hold an egg it's even cuter! 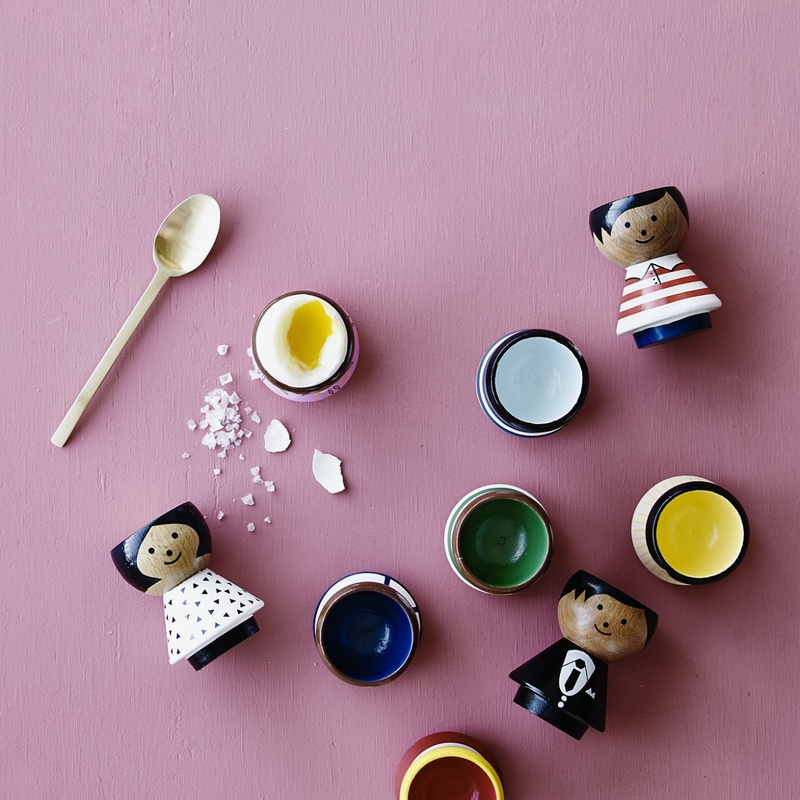 So, where you can put this original creation by Lucie Kaas? 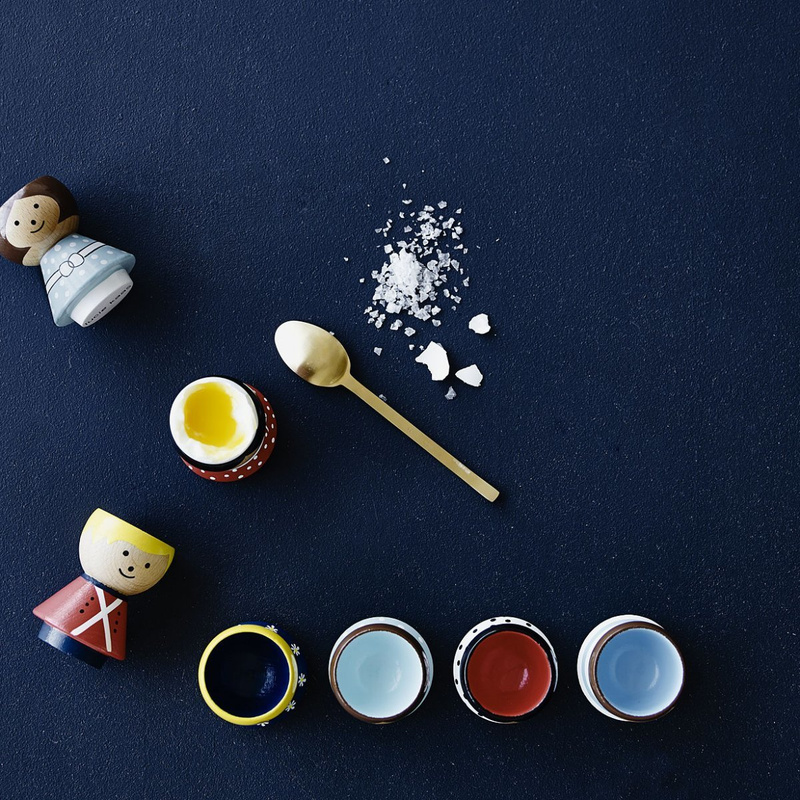 The Girl egg cup can be placed pretty much anywhere: in the kitchen, as per tradition, or even in very different types of layouts, such as for decoration in a glass cabinet.